What an amazing month it has been here at Casual Runner. The entire CR Team took some time to sit back, relax, and enjoy the holiday season with our families and friends. It was a wonderful opportunity to slow down and appreciate what a wonderful year it has been for all of us. Wait, did we say relax? Because you would not have known it from the ground we covered in December, and we covered a LOT of ground! So, before we turn the calendar over to 2016, lets turn things over to you, our wonderful readers, and take a quick look back at what you all had to say about the last month of a great 2015, a month in which we officially welcomed Candace to the Casual Runner Team and brought you loads of new feature articles. 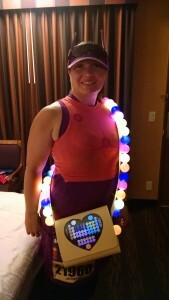 As you know, we rolled out our first Product Palooza extravaganza, providing our thoughts and recommendations concerning a wide variety of cool fitness gear for the runners, cyclists, triathletes, walkers, and overall Casual Adventurers! If you missed any of our features, you can check them all out here. We also introduced our first product giveaway (who doesn’t love some free gear? 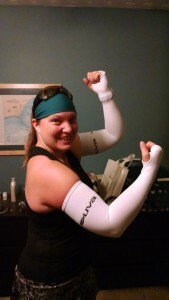 ), where we gave our readers a chance to win some cool compression gear from our friends at SLS3 Compression. We made one lucky reader’s holidays buy adding an awesome present underneath the Christmas tree this year. The rest of the Team has no choice but to agree with Adam, as Jennifer has been making the rest of us look bad for some time now. Thank you everyone! We are excited to hear that you all found this event so useful and entertaining, we may just have to bring it back in 2016! Praise from the Happiest Place on Earth, we’ll take it! 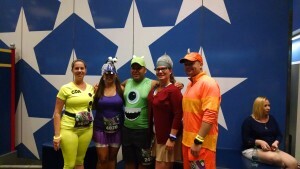 In case you missed it, Jennifer rocked her Honey Lemon costume at the 2015 runDisney Captain America 10k, which was a part of the Avengers Half Marathon weekend. You can check out more of their great CosRunning creations here! 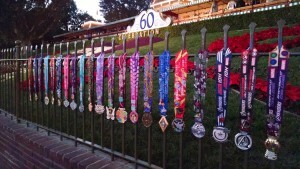 Thanks Jenny, and congrats on accepting, adjusting, and advancing your way to finishing the Half of a Half Marathon! We at Casual Runner believe that running is a personal journey, and we all have personal milestones and achievements that are worth celebrating. 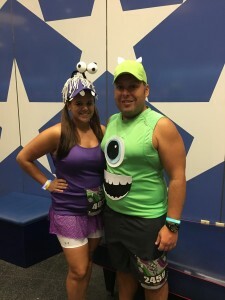 This month, Mike shared the story of his runnerversary (the anniversary of when he got up and ran his first mile), and Jennifer and Jake gave you a behind-the-scenes look of what it took for them to achieve their year-long goal of running an event at every runDisney race weekend in 2015. The reader responses to these features has been huge. Too huge in fact to list them here (Nick does do his best to keep us from making these articles too long, so you can blame him). However, Mike, Jennifer, and Jake all wanted to extend their gratitude to our readers for all of their kindness and support. You really are the best! Well, that is going to do it for this installment of the Casual Runner Mailbag. The CR Team loves hearing from you, so please keep those emails, Tweets, and Facebook and Google+ messages coming in. We wish you all a happy, safe, and healthy New Year. Good luck with your training and have fun on your Casual Running adventures!